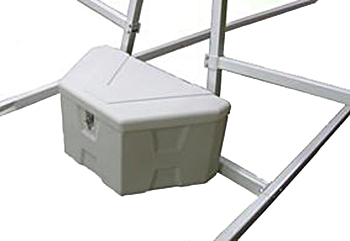 The galvanized Magneta UKCT10 10 Kayak Trailer / 10 Canoe Trailer can carry up to ten canoes and/or ten kayaks (more than 10 kayaks may be carried if carried on their sides at 2 per carry arm). The Magneta UKCT10 trailer is built to last and features a rugged all tubular galvanized frame and wheels. Ships unassembled on a pallet by truck freight (semi). 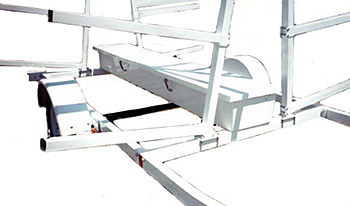 Multi-purpose trailer that can be upgraded at any time to carry bicycles, motorcycles, four wheelers, and cargo.